We consider ourselves to be experts when it comes to local roofing services in Guildford and surrounding areas. We have been providing great roofing services in Guildford and other London areas for years. Our experience, combined with our skill, ability and knowledge in the industry enables us to deal efficiently with every roofing requirement and we always complete each job to the highest possible standard. Whatever your roofing needs, whether it’s tiling, slate roofing, fascias & soffits, guttering, roof restoration or roof replacement, we provide a friendly service that handles your requirements efficiently and effectively. 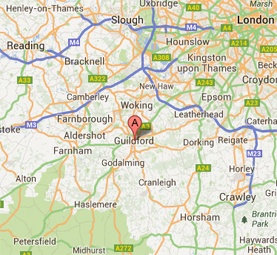 Please give us a call for more details about the services we provide to both Guildford residents and businesses.